Warrington breathed new life into the Dacia World Club Series with a magnificent performance to beat Wayne Bennett's Brisbane Broncos 27-18 at a euphoric Halliwell Jones Stadium. 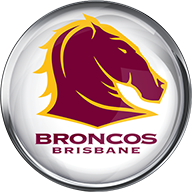 The Broncos, who had beaten Wigan in each of the previous two years, were the only NRL club willing to join champions Cronulla on the trip to England as Australian interest in the expanded series waned following one-sided matches in 2016. But the Wolves, who pushed St George Illawarra close two years ago, proudly flew the flag for Super League with a first win in seven and set the scene for Wigan to follow suit when they take on the Sharks in Sunday's World Club Challenge. Hero for Warrington was former Widnes captain Kevin Brown, who was named man of the match for a superb debut in front of England head coach Bennett in a World Cup year. Brown scored the game's first try and provided Warrington with the game management they sorely lacked in their defeat by Catalans Dragons in their Betfred Super League opener. 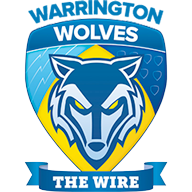 The Wolves were still without six senior players through injury, including skipper Chris Hill, but it hardly mattered as they rattled their star-studded opponents with some aggressive defence and produced some exciting plays to score four tries to three to delight the 12,082 crowd. A perfect opening quarter began when loose forward Joe Westerman, the man tipped by Smith to impress Bennett, charged down a Ben Hunt clearance kick and, after re-gathering the ball, set off for the line. Hunt brought him down a few yards short but the Broncos defence could not regroup in time to prevent Brown dummying his way over from the play-the-ball. Patton kicked the first of his three conversions and added a penalty to make it 8-0 before a neat pass from Brown got centre Ryan Atkins through a chink in the Brisbane defence for a second try on 13 minutes. It got even better for the Wolves on 17 minutes when more crisp passing created the opportunity for winger Matty Russell to finish strongly at the corner for a third try and Patton's fourth goal made it 20-0. When they eventually got their hands on the ball, Bennett's men looked dangerous and pulled a scintillating try back on 25 minutes when left winger Corey Oates produced a spectacular dive at the corner after accepting centre Jordan Kahu's pass. Hunt added a touchline conversion but Warrington struck again two minutes before half-time when left winger Tom Lineham squeezed over at the corner after Atkins had been brought down short of the line. Trailing 24-6 at the break, Brisbane were right back in the game within five minutes of the re-start when centre James Roberts slipped the attempted tackle of Brown to sprint 80 metres for a solo try direct from a scrum. Kahu added the goal to cut Warrington's lead to 12 points but the Super League side were in no mood to relinquish their hard-earned spoils without a fight, which is precisely what happened when tempers became frayed on the hour, with referee Phil Bentham forced to deliver a warning to the captains. As play swung from end to end, Brisbane substitute Jai Arrow was held up over the line while Warrington missed a glorious opportunity when Russell was freed by Evans but failed to provide a final pass to the support. The Super League side opted for prudence on 62 minutes when Patton put over a drop goal to put his side three scores in front and extended the lead to 27-12 three minutes later with a penalty as the Broncos began to lose their composure. Brisbane had the last say when winger David Mead pounced for a third try after Tom Lineham failed to clear the danger posed by Darius Boyd's grubber kick and Kahu kicked his third goal but Warrington had enough of a cushion to hold on for a famous victory.